Are You Camping at Burning Man 2015? Seventy thousand people in the Black Rock Desert of Northwestern Nevada—that’s one way to describe the annual celebration of art and community known as Burning Man. You could also say this gathering that culminates every Labor Day Weekend is a festival of self-expression and self-reliance. The many facets of Burning Man are there to explore for anyone with a ticket and a vehicle pass, and RV and tent camping are the usual ways to attend. If you’ve never investigated the Burning Man phenomenon, having a few basic facts can help start your journey. Where: One hundred twenty miles northeast of Reno, NV on the ‘playa’ in the Black Rock Desert. Where to Buy Tickets: Tickets have been on sale since February, but never fear. You can still find tickets on the Secure Ticket Exchange Program from folks who purchased tickets and can’t attend. Another way to secure a late ticket is to register for the OMG ticket sale that will take place August 5, 2015. You’ll start by creating a Burner Profile. One thousand tickets are sold on August 5 on a first come, first served basis. Each Burner can purchase two tickets and one vehicle pass as available. How Much Does it Cost? Tickets are $390 each (good for the entire week) and each vehicle requires a $50 pass. Tip: To save vehicle pass costs and travel expense, share the costs of renting an RV with another couple or a group of friends. What should you expect at Burning Man? That’s a big question! You can expect to not see any type of advertising or commercial enterprises. You will see people gathered in camping groups, sharing facilities, food and tasks. Visually stunning, Burning Man is filled with tens of thousands of costumed participants, epic outdoor art forms and bicycles, bicycles, bicycles (the best mode of transportation.) From the ‘big burns’ where spectacular art installations go up in flames to the comradery and communal strength of the ‘City’, there’s something remarkable about being there. Start packing for life in Black Rock City—costumes, hot weather clothes and supplies, bicycles. Here’s a list of Black Rock City essentials. Launch your 2015 journey to Burning Man! Attending Burning Man is unlike any camping experience you’ll ever have. It’s sharing a week in the desert with thousands of free thinking, art and nature loving temporary citizens of Black Rock City, creating art and community. Are you RV or tent camping at Burning Man 2015? There’s still time to make it happen! 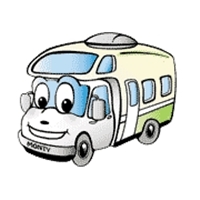 This entry was posted in Nevada RV Camping Vacation, RV Vacation Ideas. Bookmark the permalink. One Response to Are You Camping at Burning Man 2015? Pretty nice article, really love the whole idea.